Last week, I was lucky enough to get the chance to sample 2 great pecan flavors from Young Plantations. 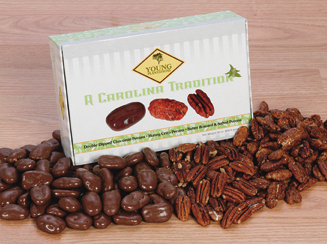 Young Plantations is a family-owned business based in Florence, SC. They ship to all fifty states and to over 50 countries each year. They also have 5 retail shops in South Carolina (2 permanent and 3 seasonal). I first became familiar with Young Plantations several years ago. 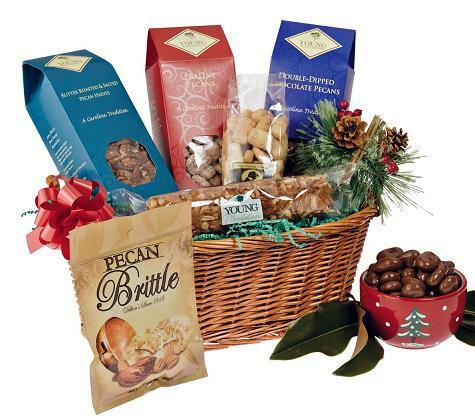 At the time, I worked for a flower shop that had a large selection of gourmet products to be added to fruit and gift baskets. 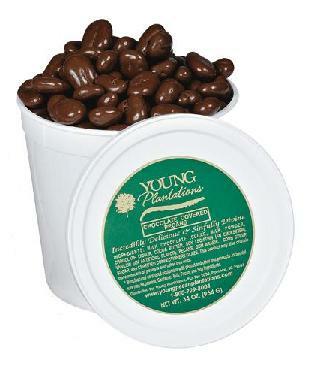 Pecans from Young Plantations was one of the many items that were offered to our customers. Specifically, the Double Dipped Chocolate Pecans. Do I really need to say more? Double. Dipped. Chocolate. Mmmmmm! In thinking of what products I would like to share with my readers, I knew right away that I wanted to contact Young Plantations and set up a product review! Shortly after being in contact with them, I received a box containing 2 bags of flavored pecans. Praline Pecans and Honey Crisp Pecans. We were so eager to try them, I didn't get a picture before we dug into the bags! Both flavors were amazing! The freshness and quality of the pecans was wonderful. One thing I hate about bagged snacks is that often in shipping they get crushed and broken. I was so happy to see that there weren't any broken bits at the bottom of the bags! The packaging was perfect! Something else I love about the pecans, is that the ingredients are all-natural. See? Just 5 ingredients!!! Amazing, right? These days it's really difficult to find tasty snacks that don't contain a bunch of preservatives and chemicals or HFCS. It gets even better with the Honey Crisp Pecans: slow-roasted pecans, sweetened with pure drizzled honey. Yep! Two ingredients! How great is that? 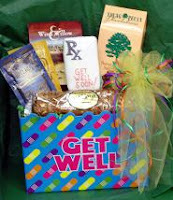 Below, you can find a description of some of the gift packages and flavor options that can be found at Young Plantations. Click on the links if you would like more information. Who wouldn't love an assortment like this? 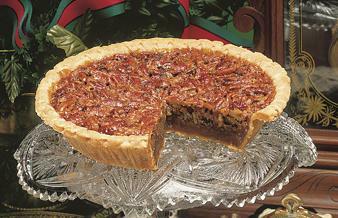 Enjoy a taste of the south with a Young Plantations Down Home Pecan Pie. To me, nothing says "the south" like a pecan pie! MMmmm! Click the link up above to place an order for this pecan pie. 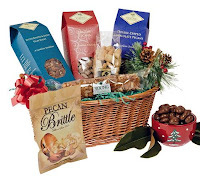 Perfect as an after-dinner-treat after a nice home-cooked meal or as a hostess gift for the holidays! 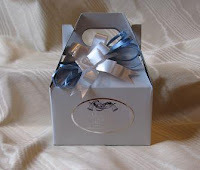 Young Plantations even offers wedding favors. Any of their favors would be perfect for a unique way to say thank you to your wedding guests for sharing in your special day! Be sure to check out the Young Plantations website to view all of the wonderful products they offer, find out about pricing, or even check out some recipes. Don't forget to keep them in mind for holiday gifts for teachers, your hair dressers, babysitters, hostess gifts, business gifts, etc. Disclosure: I was not compensated in any way to do this review. Young Plantations provided me with 2 non-returnable sample packages for my family to try and review. The opinions stated in this review are honest and my own.